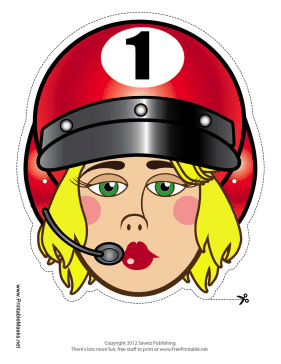 This female racecar driver mask is number one! Her red helmet and black visor will keep you safe as you drive your pretend car. This mask is free to download and print.